the essence of the visionary designer Tokujin Yoshioka's style. The central support, delicately balanced between the two horizontal elements, de es gravity, suspended between earth and sky, between the past and the future. 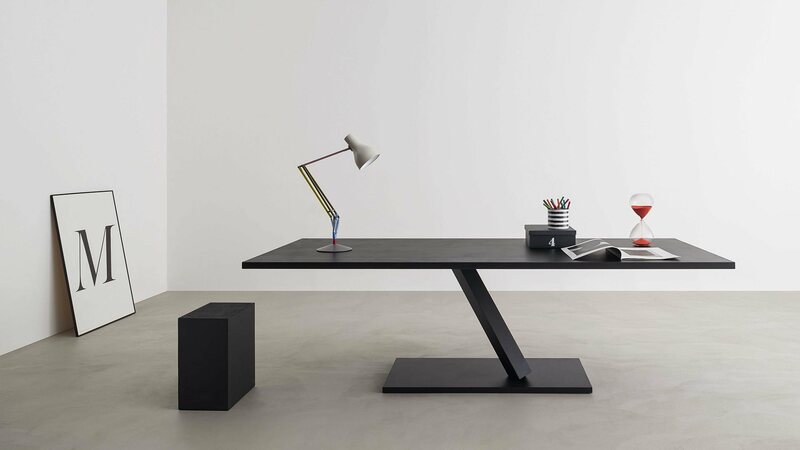 The perfect embodiment of dynamic balance, of lightness and solidity, made even more tangible by a black concrete nish. A design of exceptional engineering complexity which conveys the know-how of Desalto's metalworking experience. 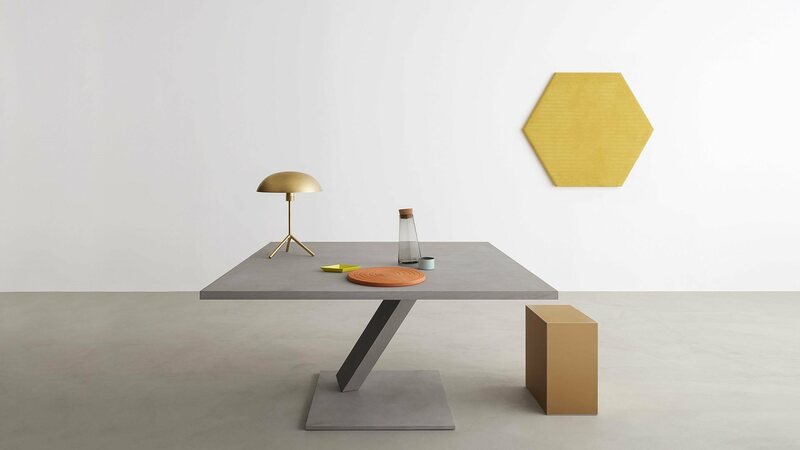 The heart of the Element project lies in the single central support for the table, a metal parallelepiped that is reminiscent in its form of the minerals and quartzes found in nature, positioned at a slant, teetering between the base and the top as though almost challenging the laws of gravity, magically suspended between earth and sky. 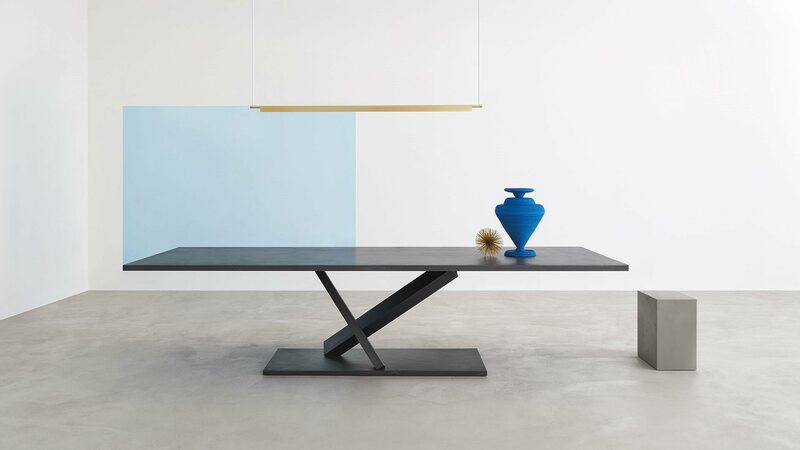 Disassembling table with steel frame, metal or MDF top, in lacquered or materic spread by hand finishings.